With the launch of 3.5 Betrayal league, skills like Vortex and Cold Snap got a huge damage buffs. There also has been an indirect buff to such cold damage over time skills, and this is indeed the introduction of Cold damage over time multiplier stat. 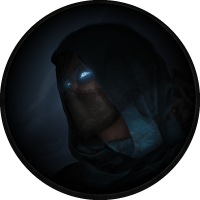 The Occultist ascendancy class also had some additions that complement cold damage over time themed builds, Void Beacon and Frigid Wake both improve the damage potential, along with bringing a lot of quality of life with the Chill and Freeze immunity. When properly geared, the Vortex and Cold Snap Occultist can easily achieve over 12k Energy Shield. Being very tanky is kind of mandatory when it comes to endgame in the Betrayal league, considering how hard some syndicate members hit. Your main damage source is Vortex, which has the potential to kill tough targets like The Minotaur in less than a minute. Cold Snap can be used in sticky situations in order to nuke enemies from a far. The build also utilizes strong curses in order to weaken the enemy even more. The Vortex and Cold Snap Occultist can be very expensive when it comes to perfect endgame items, but can also be played on a budget. Before transitioning to Chaos Inoculation you can easily play hybrid up until level 70-75. The flat Energy Shield from both Wicked Ward and Vile Bastion will help a lot in the transition. With very little investment you can reach more than 7k Energy Shield by level 70. Some of the more expensive items when it comes to endgame are definitely the weapon and a well rolled Vaal Regalia. The Vortex and Cold Snap Occultist has a different play style than most caster builds you have played. Your main goal is to get close to enemies and drop down a Vortex that will obliterate enemies shortly after. Utilizing Phasing, which removes unit collision, allows you to run through packs of monsters and drop a Vortex in the middle of a pack. Offensively, Phase Run will give you the needed Phasing in order to pass through enemies, the additional movement speed it provides is also very useful, considering you mainly depend on running around when it comes to mobility. Running in a pack of monsters and casting Vortex is the core of the play style of this build. Use Cold Snap to improve single target damage and clear from a far when needed. Elemental Equilibrium can be utilized by using Storm Brand and Orb of Storms. Frost Bomb can be used to reduce enemies’ cold resistances even further. Defensively, the huge Energy Shield pool and the great amount of sustain you have by being an Occultist makes you very hard to kill. Cast when Damage Taken Support and Immortal Call will prevent the occasional dangerous moments when killing porcupines. The build can run both Enfeeble and Temporal Chains in order to make enemies very slow and reduce their damage done. Vigilant Strike with its threshold jewel is a great way of having Fortify effect all the time. Wicked Ward provides a lot of flat Energy Shield and great way to sustain your Energy Shield pool. Vile Bastion provides stun immunity when you have Energy Shield, which is mandatory for every Energy Shield-based build. The additional way of sustaining your Energy Shield pool and the flat 150 amount is also great addition. Void Beacon acts as a debuff aura to nearby enemies, reducing their cold resistance and stopping them from regenerating life. Frigid Wake adds a lot of cold damage over time multiplier, which improves the builds damage a lot. Freeze and Chill immunities frees up ring slot, since you would have to use Dream Fragments otherwise. Every 4 seconds you also have chance to Freeze even bosses, which proves to be very powerful in certain situations. Note: It is recommended to go for Wicked Ward and Vile Bastion first, since this will allow for much smoother and cheaper transition into Chaos Inoculation. Void Beacon and Frigid Wake provide a lot of damage which will be handy when it comes to mapping later on. When it comes to main sources of damage, Breath of Rime, Fingers of Frost and Spiritual Aid are the three big ones that you should aim for before you start mapping. In order to transition into Chaos Inoculation you will need at least 180% Energy Shield on the passive skill tree. Here is an example of the endgame passive skill tree. Note: For passive skill trees prior to the absolute endgame refer to the leveling section of the guide. The Act II quest Deal with the Bandits presents few character choices for us. Considering the build does not benefit from helping any specific bandit we choose to kill them all for the two additional passive skill tree points. Minor: Soul of Abberath is good in every energy-shield-based build for the immunity to burning ground. Soul of Gruthkul provides additional physical damage reduction which can be useful, considering you are running into melee range. The build’s main skill is Vortex, which you should ideally use in a 6-Link. Cold Snap works as a secondary damage source. For mobility you should use Flame Dash, which will also provide Arcane Surge basically for free. Both Temporal Chains and Enfeeble are extremely strong defensively and will render your enemies hopeless. Vigilant Strike is used for the long Fortify you get, especially when combined with The Vigil. Phase Run helps out by providing additional movement speed and make you less likely to get hit. Gems that are triggered by your Scepter with the mod “Trigger a socketed spell when you use a Skill” are simply used in order to proc Elemental Overload and lower enemies cold resistance via Frost Bomb. The usual Cast when Damage Taken Support and Immortal Call gem setup is used in order to prevent deaths from Porcupines. Vortex is your main skill. You should run into packs of monsters and drop down a Vortex, which will obliterate every foe with its powerful degeneration effect. The following gem link is universal and can be used for both clearing and single target encounters. Flame Dash is your mobility skill. It will help you jump over some map terrain, which will save you time. It is also providing Arcane Surge with every cast, which gives additional mana regeneration and spell damage. Make sure to keep the Arcane Surge Support gem at low level in order to trigger it with every Flame Dash cast. Temporal Chains slows down enemies’ action speed while Enfeeble reduces their damage done and accuracy rating. Both curses allow you to run around monsters and feel safe while doing it. Phase Run provides additional movement speed while Vigilant Strike helps you keep up the Fortify effect for additional damage reduction. The following gems should be specifically socketed in your weapon because they can be triggered when you cast a spell via the recommended crafted mod “Trigger a Socketed Spell when you use a Skill”. Vaal Discipline is used for the additional flat amount of Energy Shield it provides along with the great sustain that comes with the vaal version. This is a standard Immortal Call gem setup used in most builds in order to prevent deaths from the nasty Porcupine mobs. The physical damage immunity this gem setup provides for a split-second is enough to prevent damage from all the splinters from Porcupine’s exploding corpses when they die at the same time. Both gems should have level requirement of 40. Capping your elemental resistances is essential and it should always be your top priority in any build; it should be the first thing you do when gearing up a character. Obtaining a 6-link, while very powerful and certainly recommended, can potentially be very expensive (requiring an average of 1500 Orbs of Fusing, obviously depending on your luck); as such, this should not really be a goal for you while gearing up, and you should instead settle for a 5-link until you have enough resources. When it comes to defensive capabilities you should spend your currency first on a high Energy Shield Vaal Regalia and 300+ Energy Shield off-hand Shield. For more damage output you should spend your currency on a Scepter. Playing Chaos Inoculation build allows you to use only utility flasks. Considering you mainly rely on running for mobility Quicksilver flask is mandatory for the build, it should be rolled with additional movement speed. Quartz flask provides additional dodge chance and Phasing, which will allow you to run through monsters in order to drop a Vortex in middle of monster packs, it should be rolled with Shock immunity. Stibnite flask creates a smoke cloud, which blinds nearby enemies, it should be rolled with Bleeding immunity. Basalt flask provides 15% physical damage reduction, it should be rolled with Burning immunity. Sulphur flask has a great duration, this is why it should be rolled with Curse immunity. Witchfire Brew can be used for the great amount of damage over time it provides. The only unique jewel that is recommended for the build is The Vigil, which allows for an easier way to have the Fortify effect up most of the time. Besides that, rare jewels should be used for additional offense and defense. Leveling the Vortex and Cold Snap Occultist should be fairly easy. You can start using the skills as soon as you get them, they have enough damage to carry you through game’s leveling content. As long as you have good movement speed Vortex feels great while leveling since it is an instant cast and you can just run to next zone while dropping vortexes in order to kill enemies that follow you. You should play with a hybrid life pool until you are ready to spec into Chaos Inoculation. While leveling you should pick up some life nodes on the passive skill tree, which you will respec later on. Here is a build with 77 points spent. At this point you are ready to spec out of the life and spend the points on Energy Shield and go for Chaos Inoculation if you have the gear for it. First you should head to Breath Rime, then go for Elemental Overload, use Storm Brand or Orb of Storms in order to proc it. After that pick the life near Scion and then go for Spiritual Aid. Lastly, head to Fingers of Frost. As you begin a new character there are few unique items that can boost your power exponentially. Tabula Rasa allows you to have a 6-Linked skill as early as you get the gems. Wanderlust gives a decent movement speed, which will make your leveling that much more efficient. Goldrim provides a lot of elemental resistances, this will let you worry less about gearing when approaching certain Act encounters. Lifesprig will help out with the damage output early on. At level 16, you should pick up Cold Snap in order to level up the gem while you are progressing. At level 24 you can pick up Discipline for additional defence. At level 31 you are ready to use all the needed support gems for maximum damage output. Level 38 allows you to get Bonechill Support, which will let you run the optimal gem setup for Vaal Cold Snap. When Should I go CI and How Much Energy Shield Should I Have at That Point? If you have decent gear you can go Chaos Inoculation as early as level 60-70. Consider that you should have Wicked Ward and Vile Bastion if you want to do that first. You should also be using Dream Fragments until you ascend into Frigid Wake. With decent gear you should easily achieve 7-8k Energy Shield at the very least. The Vortex and Cold Snap Occultist is one of the safest builds to play at the moment – partially due to its high end damage potential, as well as its powerful disabling skills. With ample debilitating curses and Aspect of the Spider at its disposal, it hinders enemy movement considerably and renders them helpless to your Vortex onslaught. 06 Mar 2019 Revisited and updated for Synthesis 3.6. The recent changes to spells are buffs for the build. 12 Jan 2019 Reworked Gem Link and Gem Progression sections for improved visibility. Thanks for the build but can you help me putting all the gem in equipment slot. Having trouble putting all the gem provided. Hello Tigasin, the only two mandatory link you need are Vortex and Cold Snap. Besides that you can improvise and socket gems wherever you have the sockets. You can drop things like the CWDT setup early on.